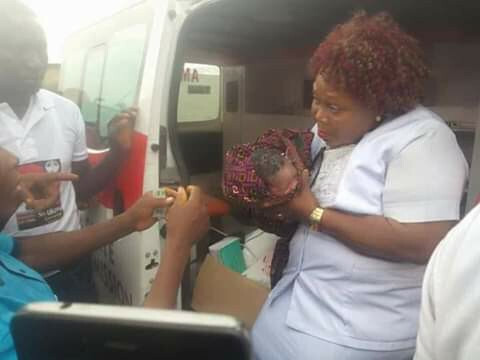 A woman was delivered of a baby girl at the campaign ground of the People’s Democratic Party (PDP) at the Council Pavillion of Isiokolo in Ethiope East area of Delta State. 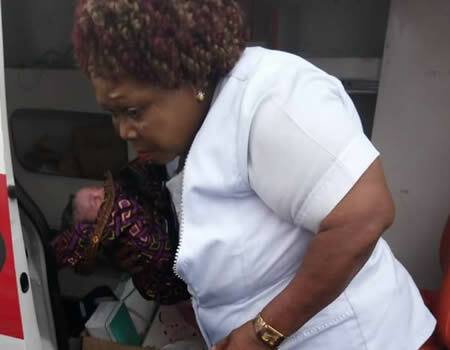 The baby girl came at about 12:00 noon on Tuesday when it was announced to the uproarious, joyous shouts of party faithful and the mammoth crowd that a woman has been delivered of a baby girl. According to Tribune, it is speculated that the baby girl might be named after Governor Ifeanyi Okowa and his wife, Dame Edith. The mother and baby were ferried to a nearby hospital for further medical care. 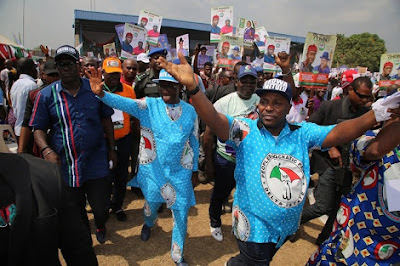 The lucky woman was identified as Odiri Benjamin, a PDP member from Ward 10, Unit 7, Ethiope East.